Looking For Health Cosmetic Surgery? 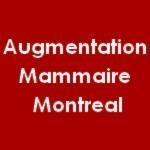 Augmentation Mammaire - Montreal is a Breast Augmentation Clinic in Montreal, Quebec. Dr. Nabil Fanous is the owner and Breast Augmentation Surgeon. The priority of Dr. Nabil Fanous is to offer clients natural looking breasts. Products Carried: Augmentation Mammaire - Montreal offers clients in Montreal Quebec the breast augmentation procedure. Owner and Breast Augmentation surgeon Dr. Nabil Fanous is an expert surgeon in the field of Cosmetic Surgery. Dr. Nabil Fanous developed the new technique called the "mini-incision." A natural appearance is the priority of Augmentation Mammaire - Montreal.